The UFC's lightweight division began in 2001 and has had its ups and downs early on. Now a firmly established weight class, the UFC's 155-pound division is perhaps its deepest and toughest. Jens Pulver became the inaugural 155-pound champion by beating Caol Uno at UFC 30 on Feb. 23, 2001. Six months later, he beat Dennis Hallman at UFC 33. On Jan. 11, 2002, at UFC 35, Pulver won a majority decision over B.J. Penn for his second successful title defense. Pulver left the UFC over a contract dispute shortly thereafter and was stripped of his title. B.J. Penn beat Joe Stevenson via second-round submission at UFC 80 on Jan. 19, 2008, to win the vacant UFC lightweight title. Sean Sherk had been stripped of the title after a steroid suspension. Later that May, Penn beat Sherk via third-round TKO. After an unsuccessful attempt to win the welterweight title against Georges St-Pierre in January 2009, Penn then returned to lightweight and defended his title twice more, submitting Kenny Florian at UFC 101 and stopping Diego Sanchez with a fifth-round TKO by doctor's stoppage at UFC 107 on Dec. 12, 2009. Penn lost the title to Frankie Edgar the following April at UFC 112. 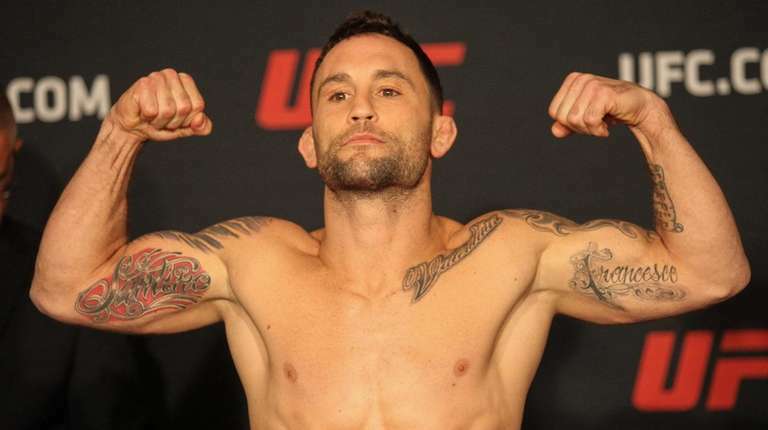 Frankie Edgar surprised many in the MMA world when he beat B.J. Penn via unanimous decision at UFC 112 on April 10, 2010, in Abu Dhabi. Edgar beat Penn in the immediate rematch, then fought Gray Maynard to a draw. In the rematch with Maynard at UFC 136 on Oct. 8, 2011, Edgar won by fourth-round TKO to make it three straight title fights without having to surrender the belt to an opponent. Edgar lost the title to Benson Henderson at UFC 144 on Feb. 25, 2012. Benson Henderson took the lightweight title from Frankie Edgar at UFC 144 on Feb. 25, 2012, then beat him again in the rematch six months later at UFC 150. Henderson, the last lightweight champion to make more than one successful title defense, also beat Nate Diaz and Gilbert Melendez before losing the belt to Anthony Pettis on Aug. 31, 2013. Anthony Pettis took the title from Benson Henderson with an impressive first-round submission on Aug. 31, 2013, at UFC 164. In his first title defense more than a year later at UFC 181 on Dec. 6, 2014, Pettis submitted Gilbert Melendez in the second round. The following March, Pettis lost his title to Rafael Dos Anjos by unanimous decision. Rafael Dos Anjos dominated Anthony Pettis to win the title from him at UFC 185 on March 14, 2015, then returned from a knee injury that Decemeber to defend the title with a first-round knockout of Donald Cerrone. Dos Anjos lost the title to Eddie Alvarez a little more than one year after winning it. Eddie Alvarez won the lightweight title on July 7, 2016, by knocking out Rafael Dos Anjos in the first round with a blistering series of strikes. It was just the fourth UFC fight for Alvarez, who signed with the promotion in 2014 after a long legal dispute with Bellator. 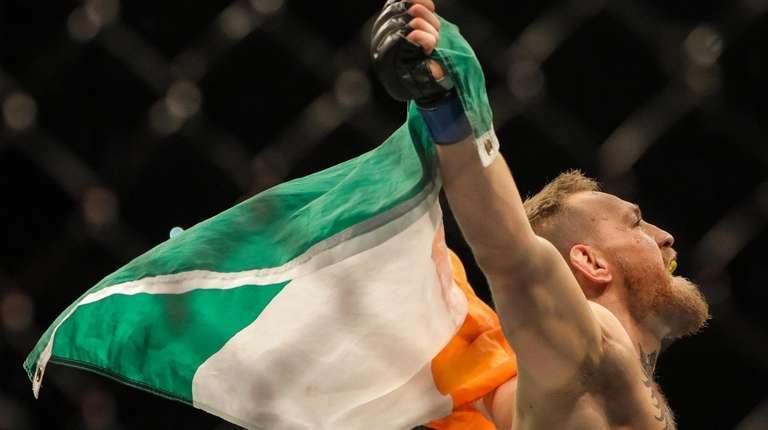 Aiming to replicate his success in Cage Warriors, Conor McGregor set out to become the UFC's first two-weight world champion after winning he featherweight belt in 2015. He was scheduled to fight then-champion Rafael dos Anjos in March 2016, but was sidetracked by a new rivalry with Nate Diaz after dos Anjos pulled from their bout. McGregor finally got the chance to make history when he faced Eddie Alvarez at UFC 205, dominating the fight and finishing Alvarez in the second round to take home his second UFC belt. McGregor never defended his belt and was stripped of the title in April 2018. 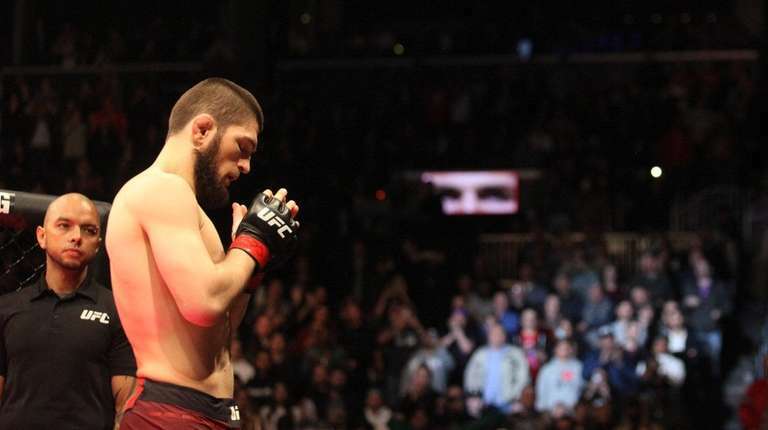 After a wild week of injured opponents, bus attacks, injured fighters and other hullabaloo, Khabib Nurmagomedov eventually had someone to fight at UFC 223 in Brooklyn for the lightweight title. Long Island's Al Iaquinta took Nurmagomedov the distance on 30 hours' notice, but the undefeated Russian proved too mighty to overcome. Nurmagomedov won the belt on April 7, 2018, and defended it successfully against McGregor in October.